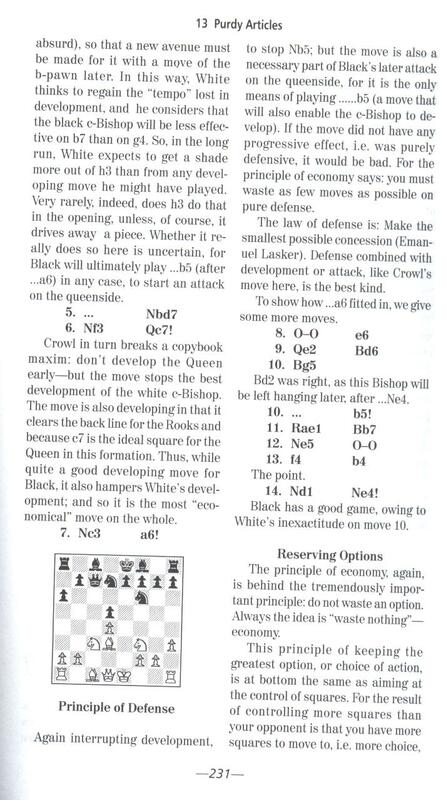 Fine Art of Chess Annotation V2. Type: BOOKS. Detail: Purdy, CJS. Product Code: 0938650831. The name Purdy has become a chess phenomenon! In 1992 the name Purdy reemerged in an explosive way. Who was Purdy and what was all the interest? In 1953 Cecil John Seddon Purdy became the world's first correspondence chess champion. He was from an unlikely place, Australia! Concurrently, he had published a small, but powerful, chess magazine called Chess World. He became known, during that time, as a great chess writer and teacher even world champion Bobby Fischer admitted that. Now a whole new generation is discovering his remarkable talent for explaining chess so that everyone can understand and improve. This book is a compilation of 120 games of chessannotated by Cecil Purdy published in esteemed magazine Chess World.Purdy's annotation were superb and this book brings together thoseannotation only found in the back issues of Chess World magazine.This book is set to become a modern day classic as are most of Purdy's books.Highly recommended.